I love making landscape quilts and am often inspired by the mid-west landscape that I live in. Several years ago I made this little quilt, called The FARM, after driving to a quilt show and through the farm fields of Illinois and Iowa. Earlier this spring I was contacted by Cindy who was looking for a quilt to don the cover of a book she was self publishing about Square dance dresses. She came across my website and contacted me. 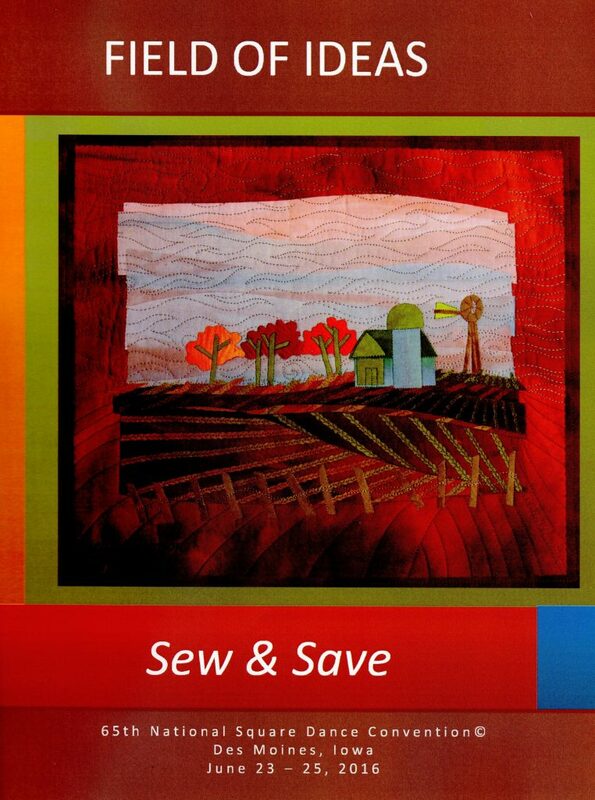 Now this great quilt sits on the cover of her fun book Field of Ideas, Sew and Save, for the 65th National Square Dance Convention coming up this month June 23-25, 2016 in Des Moines IA. Kinda of a perfect fit I’ld say! Thanks Cindy for asking.